EDINBURG — The mayor’s wife is no longer leading a nonprofit that is currently at the center of a political firestorm. Edinburg Mayor Richard H. Garcia said his wife, Myra Garcia, left her post as executive director of Valley Initiative for Development and Advancement five months ago. “They named a new director last May,” Garcia said Tuesday. Myra Garcia served as the nonprofit’s executive director from 2008 to 2014, when Victor Vazquez came onboard. When Vazquez left abruptly in 2016, the board reached out to the mayor’s wife and asked if she would return to her previous post, the mayor said. Myra Garcia declined a permanent position and instead told board members she would work on an interim basis until a new director was found, Richard Garcia said about his wife. The move, however, created a conflict of interest for the mayor because the nonprofit routinely asks the city and other municipalities to provide funding for the organization. Only those living in municipalities that contribute can participate in the program. Edinburg began contributing $75,000 in 2007 and continued to increase funding each year until 2015. Last year, the organization requested $292,000, but the council did not approve the funding. Much of the decision stemmed from political infighting between the two factions on the council, with members outside of the majority arguing the contribution to VIDA kept growing, while other organizations were turned away. Since then, VIDA has been at the center of a political tug-of-war. On Sunday at least three of the eight candidates running for office declined to commit almost half-a-million dollars to the organization. 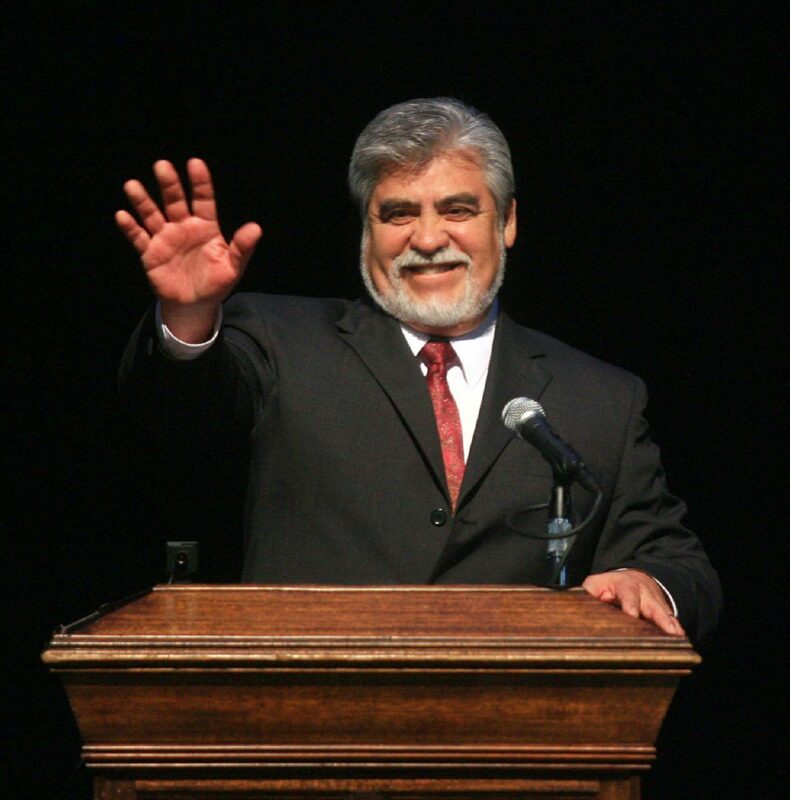 The candidates included Edinburg Council Member Richard Molina, who is running for mayor against Garcia, mayoral hopeful Gina Alamia and Place 2 candidate Gilbert Enriquez. The mayor, who is seeking re-election, vowed Sunday to help fund the nonprofit — a move he has not been able to make because of his conflict of interest. Even though his wife stepped down five months ago, Garcia said there is a grace period that prohibits him from voting on the issue. Such was the case last month, when he had to abstain from voting on the budget for the Economic Development Corporation, which included a line item to fund VIDA. He abstained “just to be on the safe side” because he wasn’t sure if the grace period ended when a new fiscal year began or a year after the conflict is resolved, he said. The mayor said his wife stepped down in part to the political backlash the program endured. “The last thing she wanted to do was hurt the program,” he said, and added it was never her intention to stay permanently. The position is now filled by Priscilla Dinn Alvarez, according to information on the organization’s website.